You’ve narrowed it down to either Australia or New Zealand for your next holiday adventure, but you can only get three weeks off work and have a limited budget – so how do you choose? That’s easy to answer: use this guide to decide which is best for you! 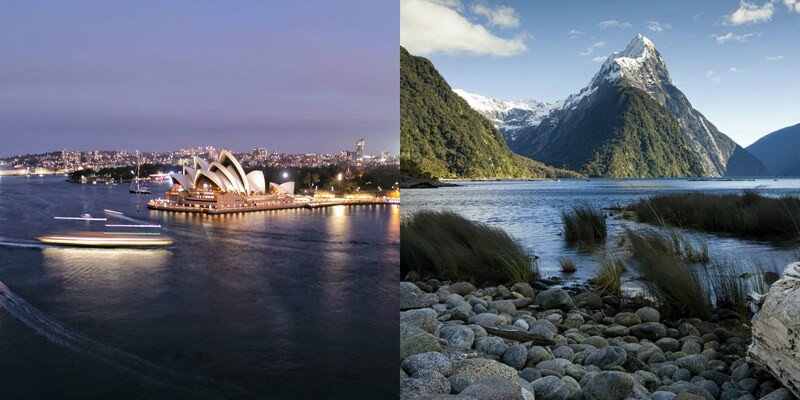 Yes, yes – we know Australia and New Zealand both have cities. And they both technically have scenery too. But the countries are very (very) different. If you’re looking for pumping nightlife and streets lined with hipster-laden bars, we’d probably nudge you more towards Australia. Melbourne and Sydney are world famous for their big-night-on-the-town activities. On the scenery front, Australia has some truly impressive and vast landscapes. Ayers Rock, the Great Barrier Reef, the Twelve Apostles – you really have to see them to believe them. But they can be quite far apart and expensive to get to. Whilst New Zealand has some solid nightlife options, what’s more impressive is it being home to the world’s largest dark sky reserve. Here, light pollution is so low you can see unrivaled views of the Milky Way galaxy and the Southern Lights. Someone once described New Zealand as the place geologers go when they die (heaven). It has dramatically different landscapes and geological wonders often within a short driving distance. Imagine passing through a desolate desert and an hour later finding yourself in an ancient rainforest. No jokes. Adventure or Rest & Recovery? There is only one Adventure Capital of the World and it’s Queenstown, New Zealand. Home to the first ever commercial bungy jump, you could quite easily complete your entire bucket list here in a day. 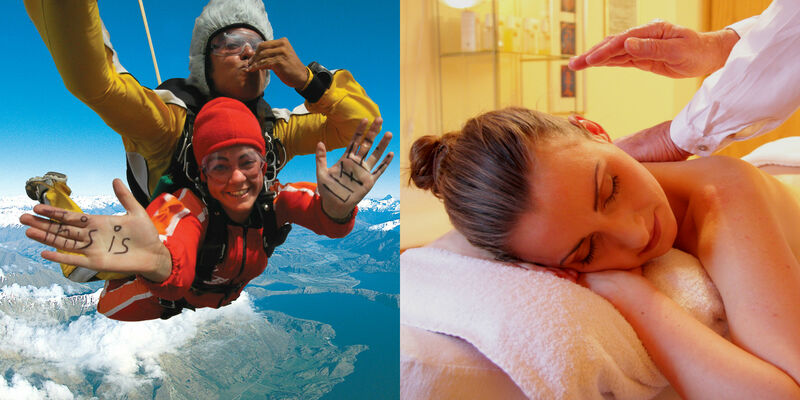 Skydiving, white water rafting, jet boating, ziplining, horse-trekking – you name it. New Zealand also invented the ZORB (where you get pushed down a steep hill in a human-size inflatable hamster wheel). First off, you can find some epic adventure activities down-under too (where else can you snorkel, surf and visit a crocodile park in the same day?). But where Australia really impresses is its many top notch luxury resorts. Think tropical swimming pools, extravagant fine dining and some of the best peaceful retreats in the Southern Hemisphere. Everything in Australia seems designed to hurt you. And by everything we obviously mean its extensive range of poisonous snakes, spiders, and jellyfish. Let’s not forget about those fun-loving crocodiles. On the cute front, we suppose koalas can be a little bit cuddly. You’ll find some pretty strange creatures in New Zealand. Best known is the kiwi – a nocturnal and flightless bird slightly larger than a chicken. 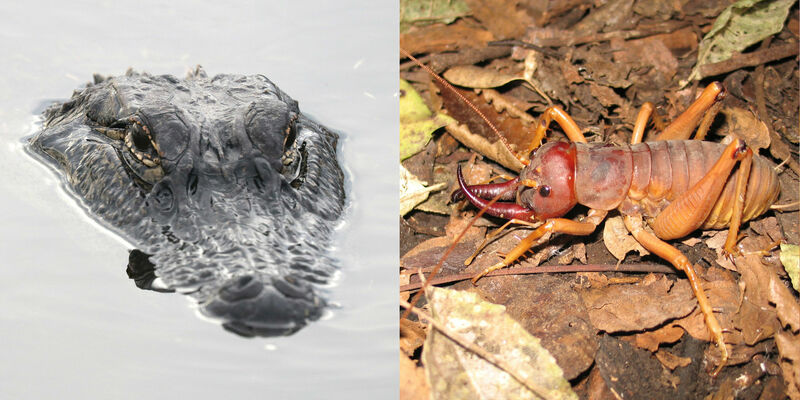 You can also see the most ancient of all living reptiles (the tuatara), and the world’s heaviest insect (the giant weta). Some may be relieved to hear the most deadly predator in New Zealand is… the cat. Yes, the very same domesticated cats we keep at home as pets. Is New Zealand The Place For You? 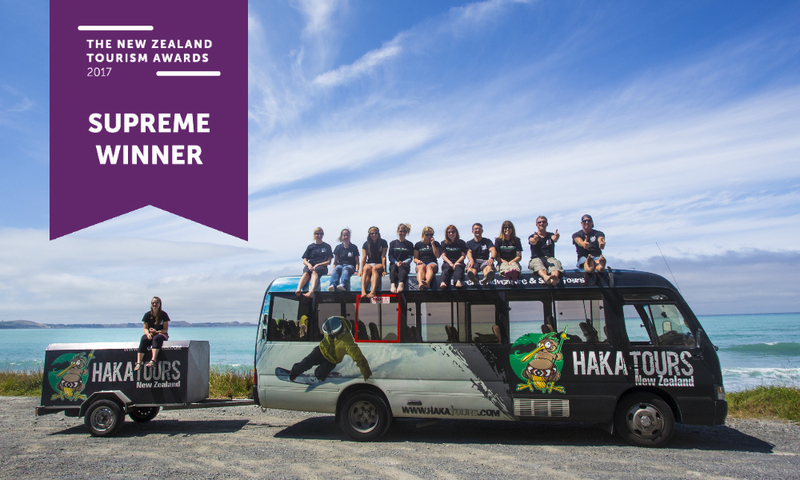 As Supreme Winners of the New Zealand Tourism Awards, we would love to show you New Zealand’s beautiful scenery on one of our Small Group Adventure Tours. From 5 to 24 days, all of our Adventure Tours include accommodation, comfortable transport, special cultural activities, breakfasts and a Kiwi tour guide who loves to show people the real New Zealand. The best part of Haka Tours? Every tour has a max of 16 people, and activities are completely flexible – you only pay for the activities you want to do. Reserve your spot with just a $99 deposit!